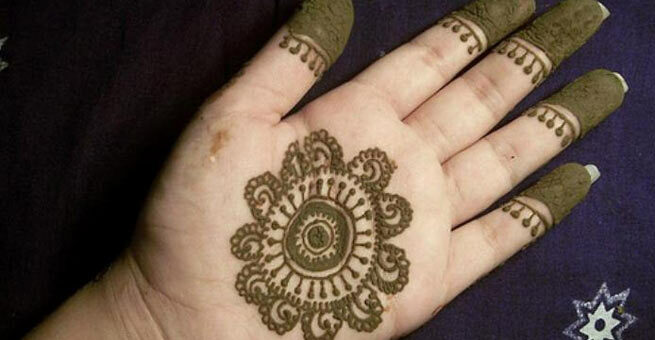 Mehndi is a temptation for women of almost every age. 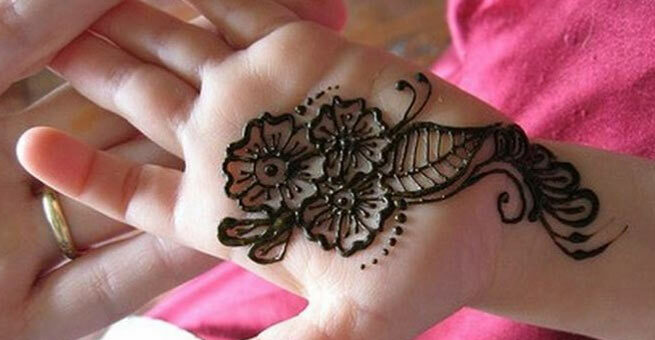 You love to adorn your skin with the gorgeous brown hue of mehndi and so does your little princess. 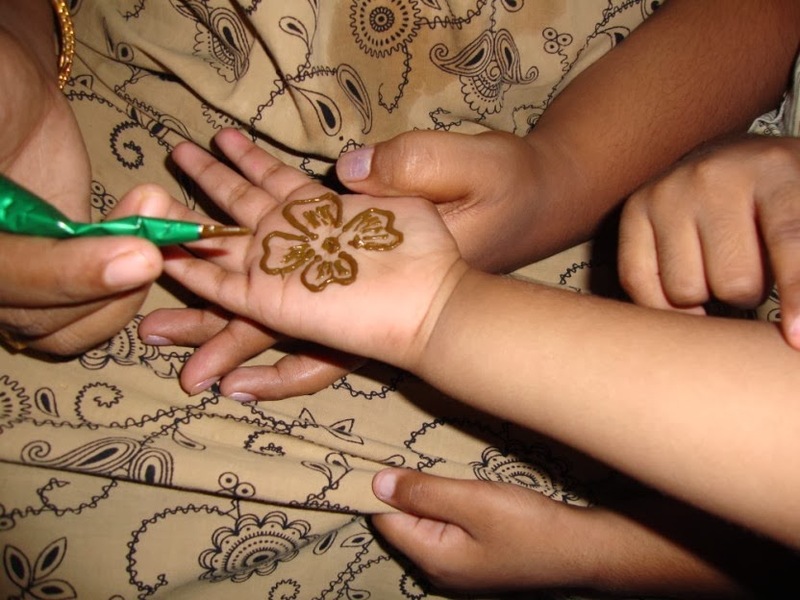 However, it is tough for any kid to sit patiently and get intricate mehndi patterns crafted in her hand. Hence, if you are looking for mehndi designs for kids, choose simple and easy designs over those fine and complicated ones. 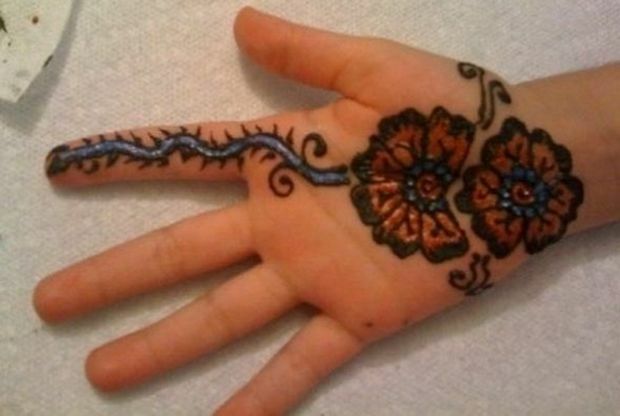 In this article, we have made your task easier by providing a list of 10 appealing mehndi designs for kids. 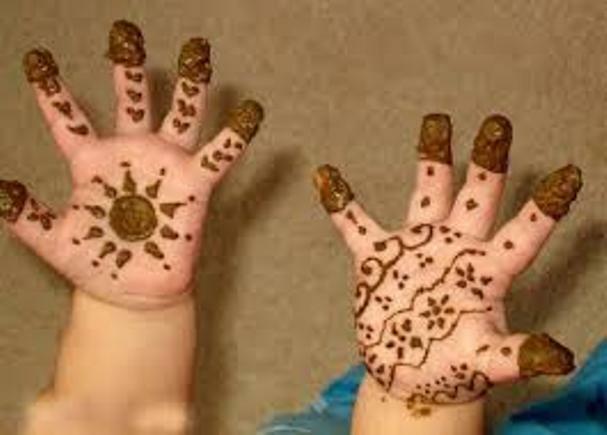 Is Mehndi Safe For Kids? 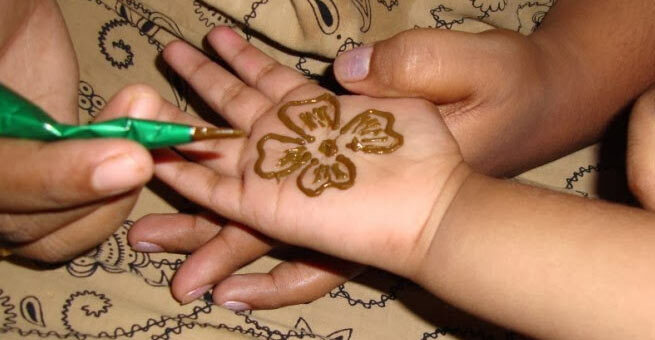 Mehndi or vegetable henna is considered absolutely safe for kids. It is basically made from a flowering plant and has long been used to dye skin, hair, fingernails, etc. across the world. However, children with very sensitive skin can sometimes develop contact allergies upon its application. 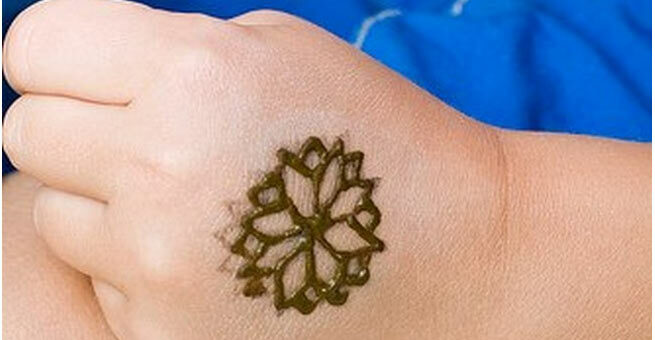 Make sure that you only use pure vegetable henna (brown or reddish brown in color) on your kid’s skin. 1. A few hearts, stars and loads of flowers! This was my favorite design in my childhood and I recommend it to you too. Trust me, your little wonder will totally adore the design. 2. A glittery design for your fashionable dotty! 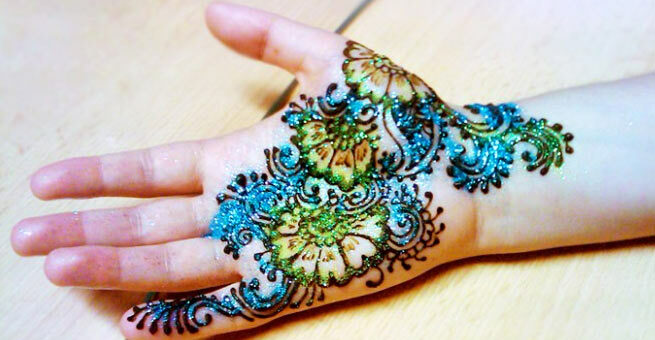 Featuring blue and green sparkles, this henna pattern is a great design for trendy girls of 9-12 years of age group. 3. 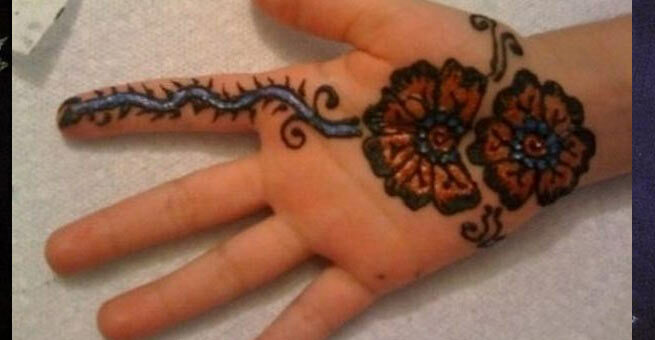 Nothing can look cuter than this sunny design on your kid’s bright hand! Though intricate designs have their own charm, simple designs are always the best for kids. 4. Is your small girl asking you to craft a floral design on her tiny palm? How about this one? It’s easy to make and will look striking on her smaller hand surface. 5. A simple motif without many intricacies will look fabulous on a young girl’s little hand. 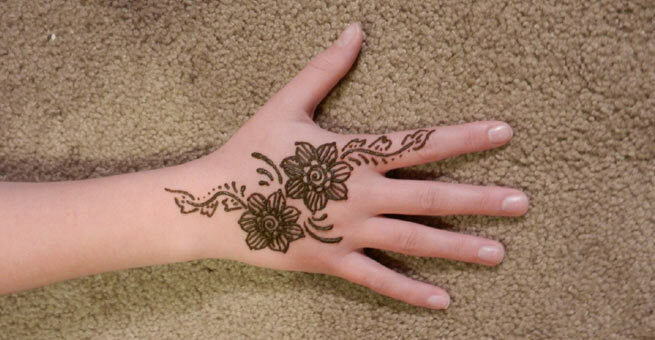 This floral design is full of simple and attractive henna motifs. Beautiful, isn’t it? 6. When it comes to choosing an eye-catching design for your teenage daughter, add some beauty to a simple pattern like this in order to suit her age and sense of style. 7. 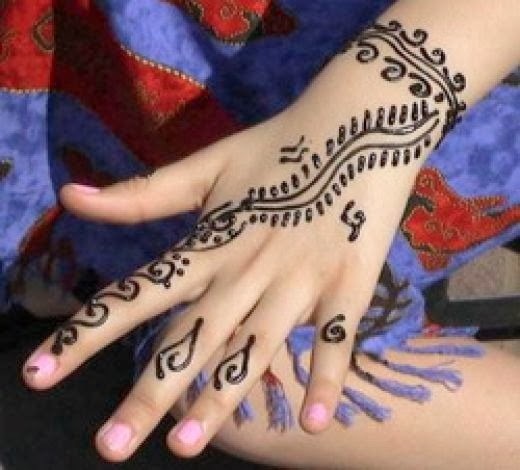 Introduce your little girl to the easiest form of Arabic henna pattern. 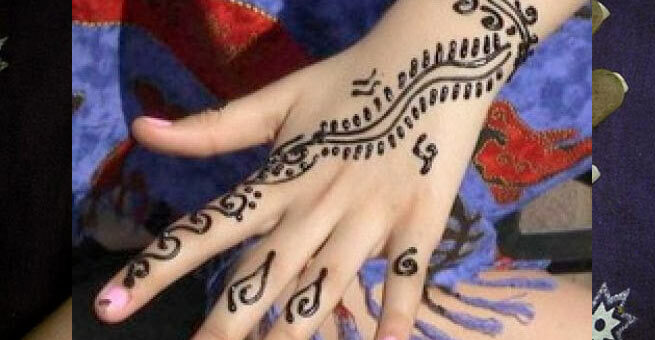 This simple and delicate design can give her hand an elegant makeover in minutes. 8. With Diwali around the corner, prepare your young daughter for a brighter celebration. Dress her up in a traditional garb and adorn her hand with this sparkling festive design. 9. Sunflowers for your sunny girl is enough to brighten up your day! Make your girl ready for a traditional function with this mindblowing sunflower-laden design. 10. Make an adorable flower on your li’l princess’ hand. It’ll definitely look prettier on her small, cute palm rather than on that of an adult. 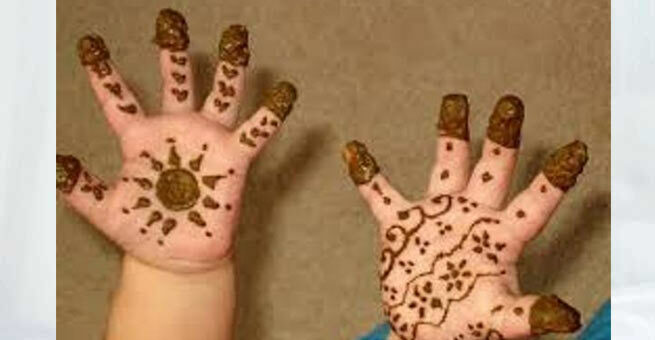 How To Remove Mehndi From Your Kid’s Hands? 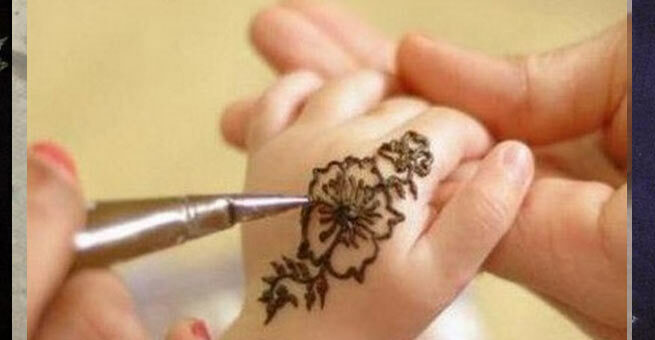 Kids’ skin is very delicate and needs to be treated with the utmost care even when removing mehndi from it. Prepare a smooth mixture of olive oil and salt and massage it gently all over the stained parts of your kid’s hands. Then, use a cotton swab to wipe the residue off. You may need to repeat the process a few times in order to get rid of the hue completely. At last, wash your kid’s hands thoroughly and pat it dry.